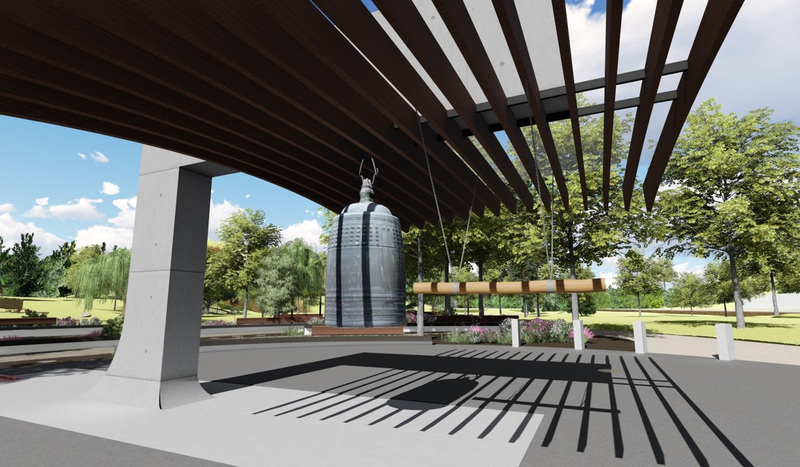 The new Peace Pavilion for the Oak Ridge International Friendship Bell will be dedicated in a ceremony at 6:30 p.m. Thursday, September 20, at the Bell’s new site in A.K. Bissell Park. The Bell’s sound will resonate for the first time from its new location that evening, from a pavilion designed to project harmony, stability, innovation and peace.